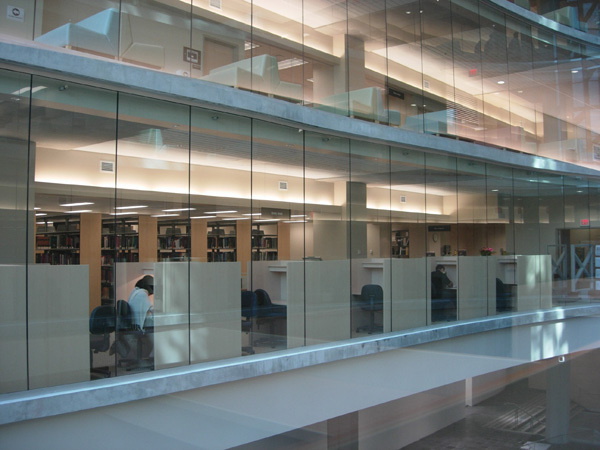 The UBC Biomedical Branch Library is located at Oak and 12th Avenue, flr 2 of the Diamond Health Care Centre. UBC Library’s Biomedical Branch (BMB) at the Diamond Health Care Centre (DHCC) provides 24X7 access and services (5) days a week. Saturday and Sunday CLOSED, no in-person services on weekends. After hours access is only provided to UBC FoM Medical Education Program Students & Residents and DHCC staff. A valid ID card or access card is required to access the BMB Library on Floor 2 of the DHCC. To obtain swipe card authorization you need valid UBC identification and access card. Contact your department or BGIS in the DHCC to enable your swipe card access to the building and library after hours. UBC Faculty of Medicine (FoM) Medical Education Program Students & Residents and DHCC staff are required to present their identification to BGIS to have their cards programmed accordingly. DHCC Policy states that Photo ID must be worn and visible when on the premises. Please direct enquiries concerning pass access to the BGIS Help Desk (604) 875-5830. Please direct UBC library service enquiries to Aleteia Greenwood (604) 822-0689.